Sansiri is to highlight their single detached house brands through a new campaign “Sansiri House. Made for every feeling” which showcases five brands; Narasiri – Setthasiri – Burasiri – Saransiri – Kanasiri. Sansiri also reveal their latest low-rise development in Phuket, “Saransiri Koh Kaew”, which is valued at 1,070 million baht. 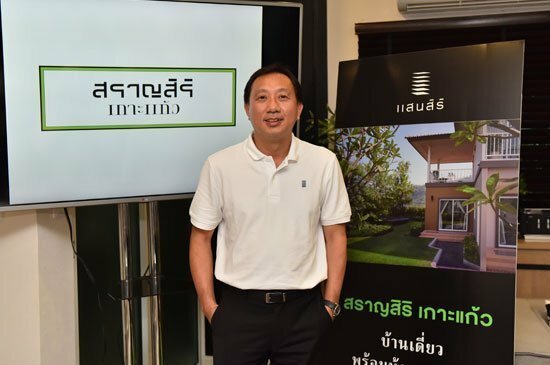 The development builds on the success of previous single detached, detached and townhouse developments by Sansiri in the Koh Kaew area, namely Burasiri, Habitia and Habitown, all of which have been well received in the market. Sansiri aims to strengthen their five single detached house brands, Narasiri-Setthasiri-Burasiri-Saransiri-Kanasiri, by launching “Sansiri House. Made for every feeling” campaign, a highlight campaign for this year. The campaign reflects Sansiri’s attention to detail in the development of housing projects and the company’s understanding customer’s lifestyle needs are different and that everyone has different needs in both the design and function of a house. Each brand has a unique positioning and represents a different experience for customers: ‘Feel the Luxury’ of the Narasiri brand, ‘Feel the Success’ of Setthasiri, ‘Feel at Peace’ of Burasiri, ‘Feel in Love’ of Saransiri and ‘Feel Complete’ of Kanasiri. A TV commercial of the new campaign can be viewed nationwide from 16 May onwards. 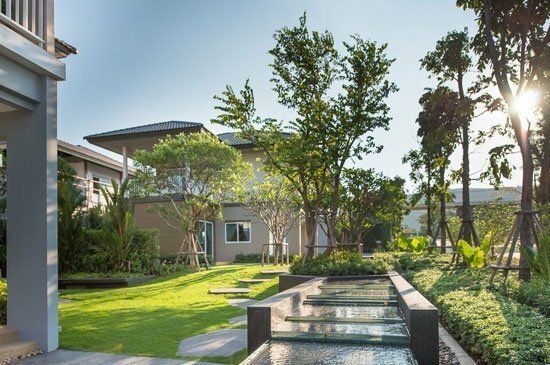 In addition to paying attention to the details in the design of each house, Sansiri also focuses on the central estate areas, facilities and surroundings of the development to create an overall “Unique Design Experience” that cannot be found anywhere else. Sansiri’s latest low-rise residential development in Phuket, “Saransiri Koh Kaew”, is located in Koh Kaew, a prime area for residential development that is central on the island and has good connectivity. Highlighting quality in design and attention to detail from the stunning gate and outstanding colours, Saransiri Koh Kaew is designed under the concept of “Tin Mining” and includes large trees and a multitude of flowers in the development’s landscaping. a large green park connecting to the pool area which can be used for activities by family members, as well as a walking strip, bike track and playground. A separate adult and kids pool area and a working space for parents to use while waiting for children in the pool makes Saransiri Koh Kaew the perfect residence for families of all ages,” added Mr. Angwatanapanich. Saransiri Koh Kaew is located on 50-2-78.79 rai of land. The development comprises 202 two-floor single detached houses with unit land plot sizes ranging from 57 sq.wa and house sizes upto 149-151 sq.m. 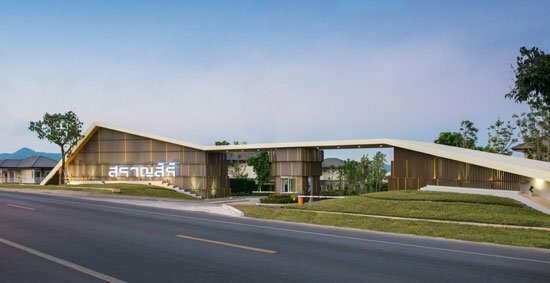 Sansiri is introducing the first phase of 40 houses. Each house is 140 sq.m near the front of the development, and comprises one bedroom on the ground floor, three bedrooms on the second floor, two bathrooms and parking for two cars.